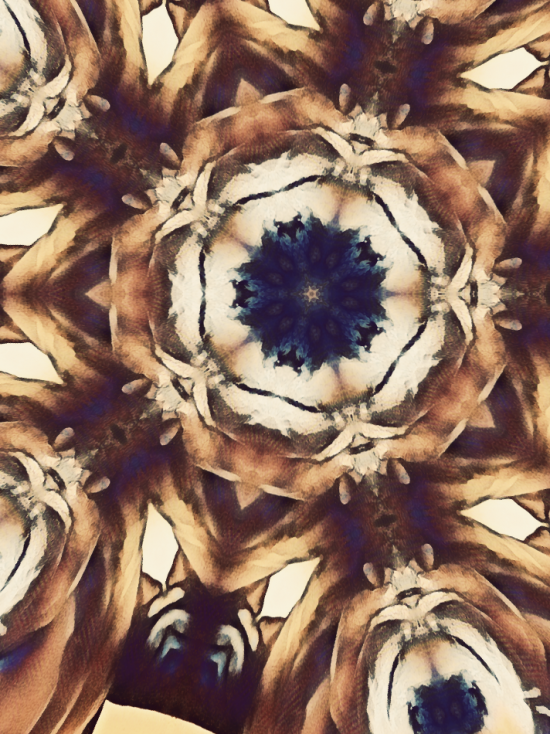 I’m not really that big on kaleidoscope images. I like the actual things, and will lose myself in them for good periods of time, but that’s because they’re dynamic and always changing. Still images don’t really have that magic for me. This one is an exception though, so after how long it took me to get something I liked, I figured I’d use it .